Year: 1951 Item #: 666 Views: 5,186 Comments: No Comments. Image scaled down from 809px to 740px wide. Click the image to view the original. Stop Lipstick Smears and make your lipstick last longer. Keep your lips smooth and perfectly groomed for hours on end and keep your lipstick fast. 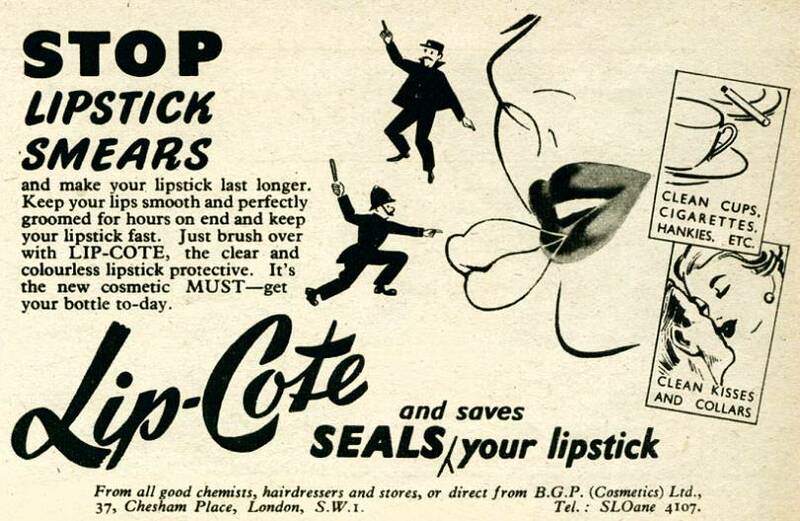 Just brush over with Lip-Cote, the clear and colourless lipstick protective. It's the new cosmetic MUST - get your bottle to-day.